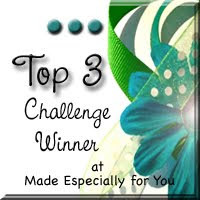 SOS Challenge #49 Butterflies, Blooms & Bling? 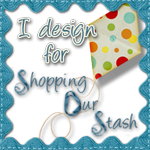 It's time for our 49th Challenge over at Shopping our Stash this week and we have a fun one for you! That's right....we want you to show us items on your creation that start with the LETTER B! Should be fairly easy right? Some examples for you: brads, boys, bugs, blue, banana, bicycle, bear, baskets. I hope you'll play along with us this week. 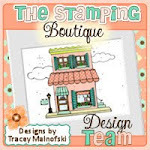 Our sponsor this week is Bugaboo Stamps and you have to play along for a chance at winning some of their super fun images! I coloured the image with copics and used the MFT banner die that I hadn't even opened yet. I paired it with some paper scraps and some chipboard numbers from the same line. I love it when I can use up my scraps!! 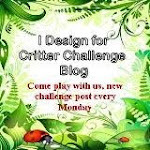 This week's challenge (#110) over at Critter Sketch Challenge Blog is all about Critters! 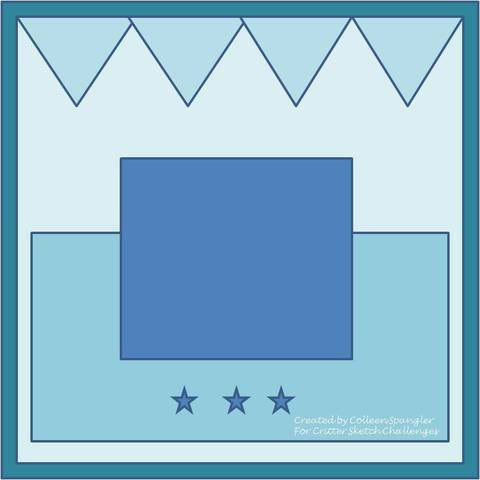 You can use any animal, bug, a cute little bunny or even butterflies on your creation to play along with us this week! I coloured the image with copics and added a bunch of butterflies that I punched out with my Martha Stewart Punch and covered with bling. I paired it all with some Bo Bunny Paper scraps and some purple rhinestone brads and ribbon to complete. Isn't she super adorable? 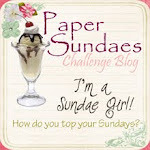 I hope you will play along with us in our Critter Challenge over at Critter Sketch.